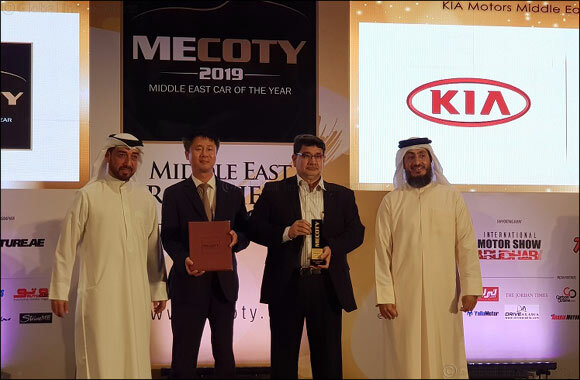 Dubai, United Arab Emirates, 31 March 2019: Al Majid Motors, the sole distributor for KIA passenger vehicles in the UAE, today announced that KIA has won two top laurels at the Middle East Car of the Year (MECOTY) Awards 2019. While KIA Cerato won the Best Compact Sedan Award, KIA Stinger was voted as the Best Compact Premium Sedan in the highly competitive and prestigious awards, instituted to celebrate excellence in the automotive industry. Now in its 6th edition, MECOTY is the biggest, most coveted award of the regional automotive industry, which integrates a complex yet transparent nomination and scoring methodology developed, tested and implemented by the most experienced ‘motoring minds’ of the industry. A panel comprising eminent motoring journalists chose the winners. The new Cerato is an eye-catching car that assures a perfect balance of fun and function. The sedan comes with an array of advanced safety features, including optional six airbags and electronic stability control, anti-lock braking system and more. The Cerato is priced from AED54,900 with 5 year/150,000 km warranty. Redefining the sports sedan segment, the new Stinger is billed as the gran turismo for the modern era. Its cockpit design draws heavily on classic sport sedans, and its five-door fastback layout with 406 litres of cargo capacity means there's plenty of easily accessible space. The Stinger is engineered to prioritize driver and passenger protection above all else. The new Stinger is priced from AED129,900 and comes with 5 years/150,000 km warranty.